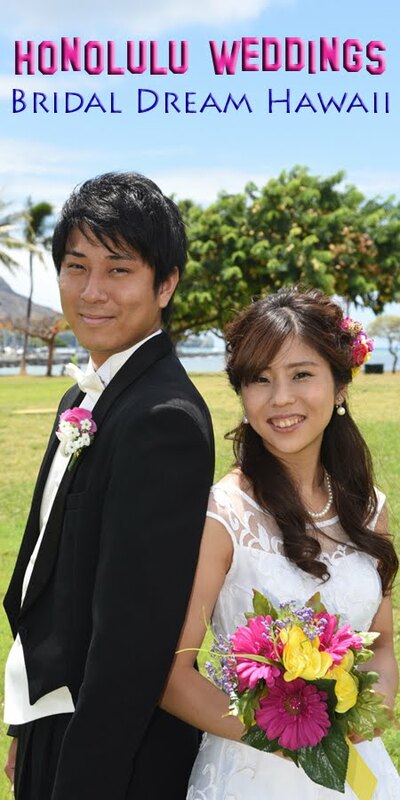 Honolulu Weddings: Break out the Ukulele! 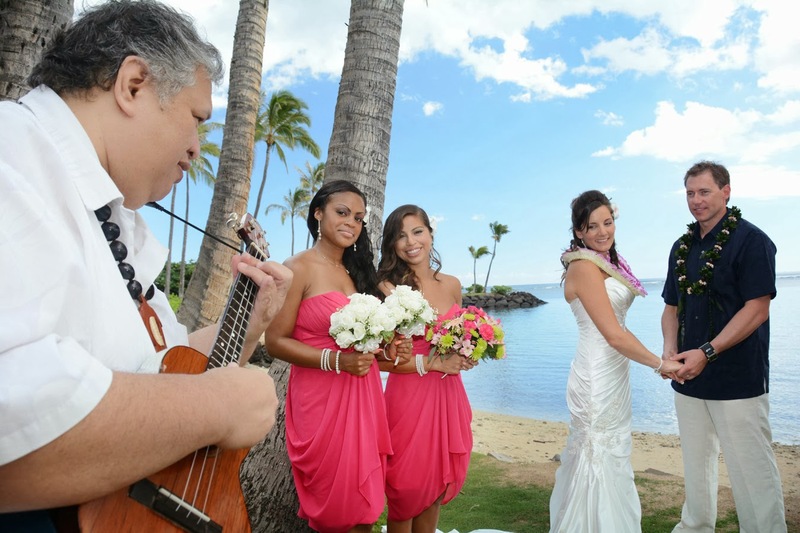 For a Hawaiian feel to your wedding, be sure to ask for our Ukulele Player ($175). The photo on the top with Musician Bernard, two Bridesmaids, and the wedding couple is one of my favorite "Musician" photos.